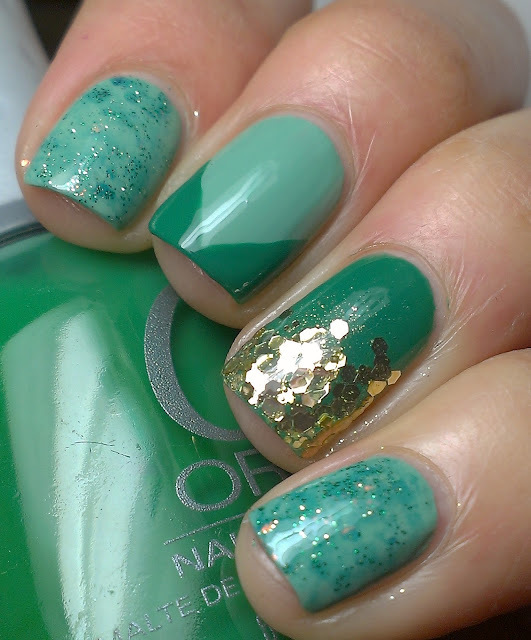 I had to join in the fun and do a St. Patrick's Day mani as well!!! I didn't have many ideas for it but I was happy with how it turned out. It is BEAUTIFUL - love it! 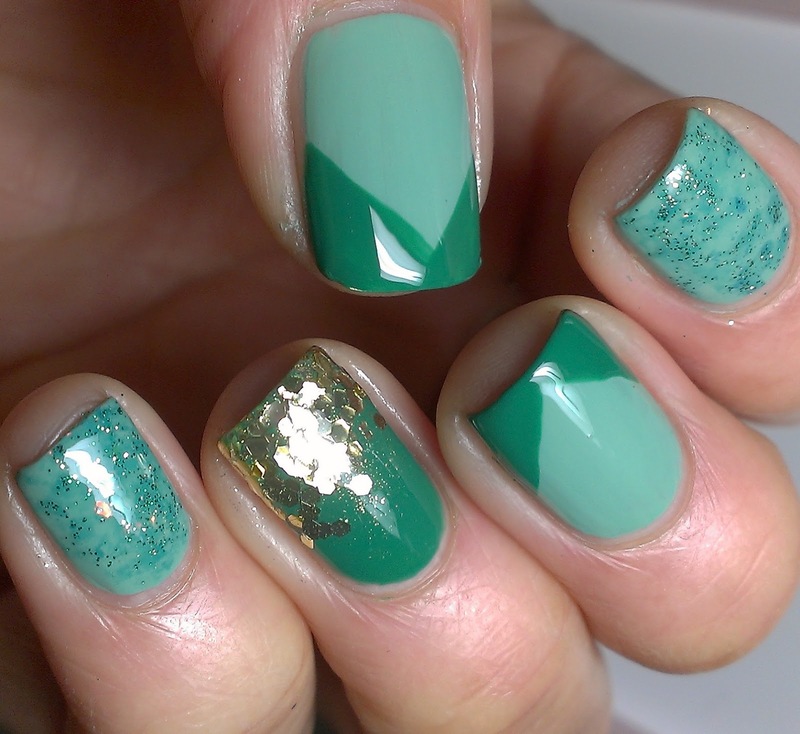 I love the sponge effect on your pinky and index! 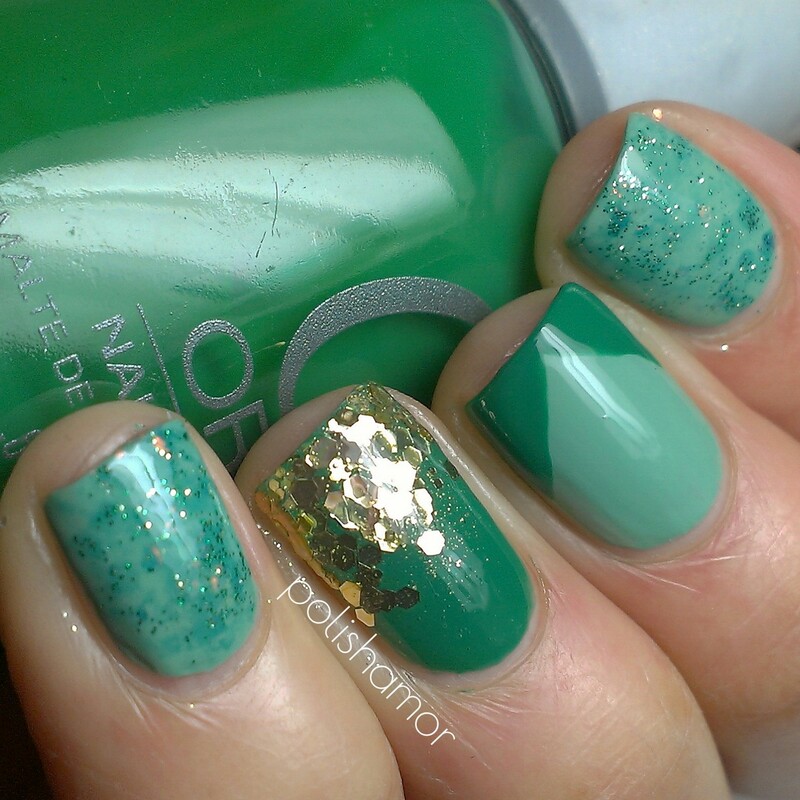 Green is my favorite nail polish color and this combo is great!